Our new campaign for the renowned sport brand is now on the pages of the major Italian fashion magazines. A campaign inspired by a positive message both in its tone of voice as well as in its colorful and light imagery, just like the sneakers of this historic brand that was founded in America more than a century ago. 3 collections per season, 24 product lines, 148 different models. 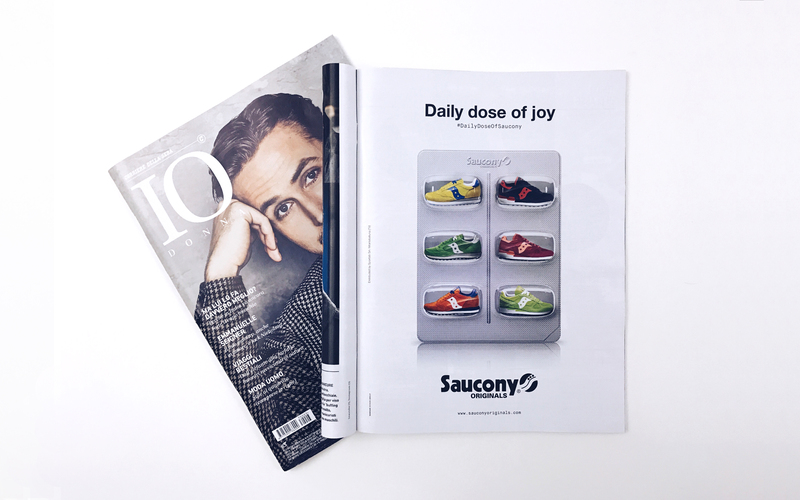 Enough to choose a different Saucony Originals pair every day: an injection of humor, a daily dose of joy.